Meet FEZ - the discrete and stylish vaporizer designed to give you the ultimate vaping experience. It heats up in under 60 seconds, and offers a range ofcustomizable temperature settings and an impressively long battery life. It normally runs for $140, but Kotaku readers can get one for just $99 + free shipping. The team behind FEZ wasn’t satisfied with the current vape choices on the market, so they set out to engineer the ultimate vaporization experience. 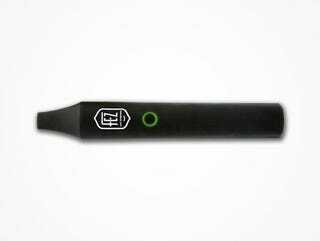 The result is a stylish, portable vape designed specifically for dry leaf consumption. Fez captures all the flavor and aroma that’s typically destroyed during smoking, and comes with three temperature settings for optimal flavor and control. Best of all, it’s convenient - it’s small enough to fit in your pocket, offers over 2,000 puffs per charge, heats up quickly, and is even easy to clean with the included cleaning kit. The FEZ runs for around $140, but for a limited time you can pick one up for nearly 30% off - just $99 with free shipping. Grab one for yourself and the vape-er on your list, but don’t wait - this offer won’t last long.